The search for good governance has become an increasingly important element of public policy and public management and is high on the political agenda of East Asian countries. The need for robust governance structures and institutions was brought into sharp focus by the Asian Financial Crisis which adversely affected most East Asian societies. Since then they have begun to look for ways to restructure their public administration and political systems in order to develop new mechanisms and structures to promote good governance. This book focuses on how selected Asian states have responded to the growing impact of "liberalizing and marketizing trends" in public policy formulation and public management. To what extent is the "state-guided" regime in Asia still relevant to governing public policy / public management? What are the policy implications for a growing number of Asian states which are pursuing more pro-competition policy instruments? 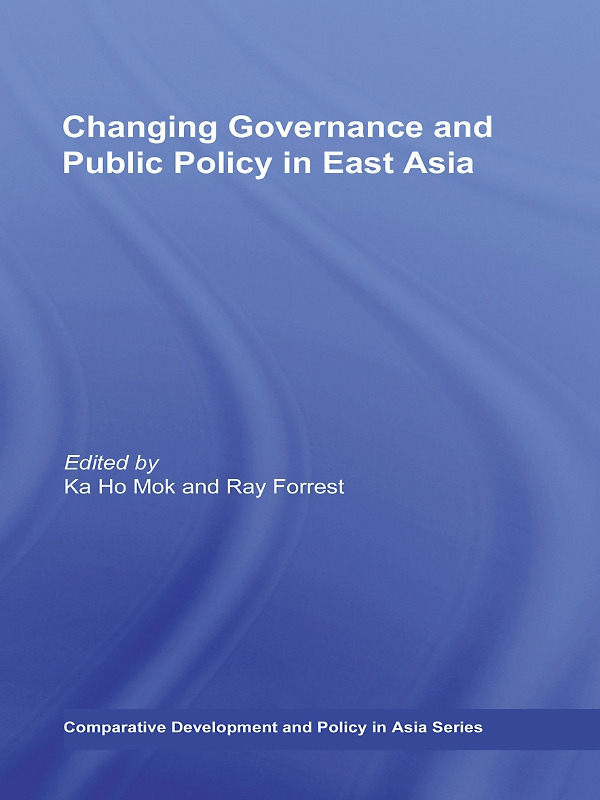 The book is a timely and important collection that offers critical analysis of the search for new governance in Asia and compares and contrasts experiences in selected Asian societies such as China, Japan, Hong Kong, Taiwan, South Korea, Singapore, and other parts of South East Asia. Chapters are written by leading scholars in the fields of comparative development, policy and governance studies from Hong Kong, Macau, Taiwan, China, Singapore, Japan and the United Kingdom. Interpreting East Asian social policy development: Paradigm shifts or policy ‘steadiness’? Redeﬁning development in China: towards a new policy paradigm for the new century?